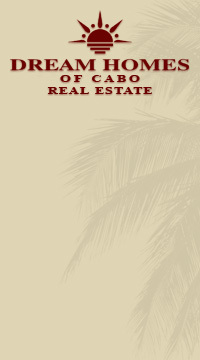 San Jose del Cabo real estate is booming just like Cabo San Lucas. Its tranquility is attracting a lot of happy repeated vacationers. We constantly hear people speaking with an excitement “It is easy to fall in love with Los Cabos! We wake up to a beautiful sunny sky, jumping manta rays and the soothing ocean waves. How do I get a piece of this paradise?” We are happy to find a dream home in Los Cabos region for everyone. What is San Jose del Cabo like? San Jose del Cabo is known for its old traditions, fine dining, galleries, boutique stores, a new marina under construction and several parks for children. This recently renovated, family-oriented town has no hustle-bustle feel. The downtown square has beautiful fountains, a charming gazebo and a restored Catholic church that was founded in 1730. Just outside this serene Los Cabos town are several championship golf courses, great world-class fishing and pristine beaches. Costa Azul is the most well-known beach area in San Jose del Cabo. This is where you will find El Zalate condominium resort, La Jolla, Las Mananitas, Tortuga Bay and Mykonos sprawling along the soft sandy beaches. On the mountainside, Club Campestre, the new Jack Nicklaus golf community, is maturing rapidly. The new beach Club Campestre clubhouse offers owners great services and amenities. The residential neighborhoods in San Jose del Cabo are clean and offer low density areas. The Fonatur nine-hole golf course, recently purchased by Mayan Palace, has nice, older hacienda homes and condominium developments, such as Alegranza and Cabo del Mar, built around it. On one end of San Jose del Cabo is the tropical Palmilla Golf Resort and on the other is the newest marina and golf resort development, Puerto Los Cabos. Both master plan developmnet communities include beachfront, ocean-view home sites, custom homes, townhouses and luxury condos for sale. Cabo Del Mar - this condominium development is under final stage of construction. The Cabo Del Mar condominium prices start at $275,000 USD and offer panoramic ocean views. About 5 miles outside of San Jose del Cabo on the way to Cabo San Lucas under construction is a new development, El Dorado Golf and Beach Club owned by the Discovery Land Company. The project includes 84 custom home sites, 120 oceanfront and ocean view luxury villas and casitas and private beach and golf club. For more information about San Jose del Cabo real estate or to inquire about a list of for sale properties in Los Cabos, please contact our Dream Homes of Cabo real estate agents at 800-403-6597.